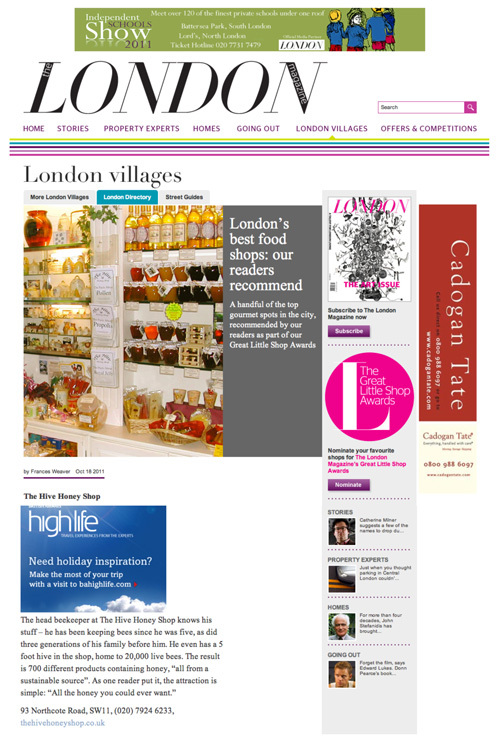 > If you like us-please nominate us for London’s Best Food Shop awards! 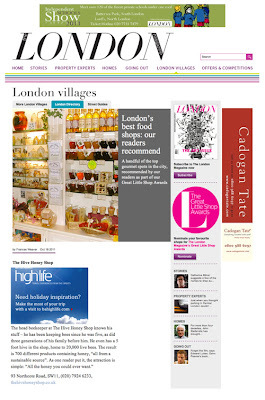 The Hive Honey Shop has been nominated by readers of LONDON Magazine for the 2011 London’s Best Food Shop awards. So if you like what we do then please support us with a quick nomination click of the button! Its takes just 3 seconds and you will help support our little local shop! In return you are given the chance to win a Rodial Beauty Bag worth £300! From The Hive staff and our bees!